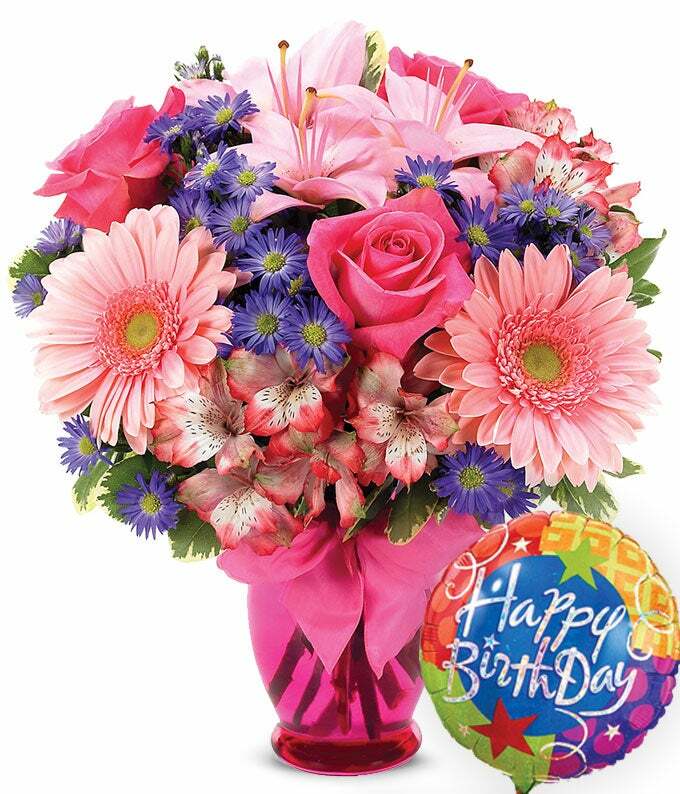 The Pink Delight Bouquet Birthday is the perfect gift to celebrate a women's birthday, whether for a mom, wife, girlfriend, sister or friend. The bouquet contains lovely pink Asiatic lilies, pink daisies and pink roses arranged by a local florist. To top the bouquet off, the vase is set with a pink ribbon and comes with a happy birthday balloon.